A delegation from the Chinese State Administration of Radio and Television Authority (SARFT) visited the Ministry of Digital Policy, Telecommunications and Media, on Wednesday 9 May. The delegation was welcomed by Minister of Digital Policy, Telecommunications and Media, Nikos Pappas, the Secretary General of Information and Communication, Lefteris Kretsos and EKOME president and CEO, Panos Kouanis. 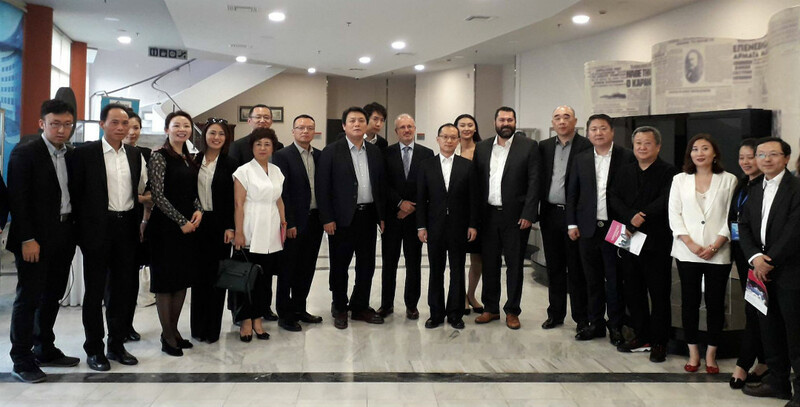 The presentation was followed by a questions and answers session, where the representatives of the Chinese delegations expressed their keen interest in learning specific details about the above law and its provisions, and more specifically about how this can further expand the cooperation between the Chinese and the Greek audiovisual sector. Both sides underlined their mutual interest in maintaining a constant and productive communication to better promote cooperation.